Somehow I associate Memorial Day celebration as a great opportunity to get a good deal on mattresses. Not sure what I'll be doing this year but I'm not buying a mattress. There are still many reasons to celebrate Memorial Day. Its raison d'être has obviously evolved but regardless people still want to be reminded of things. 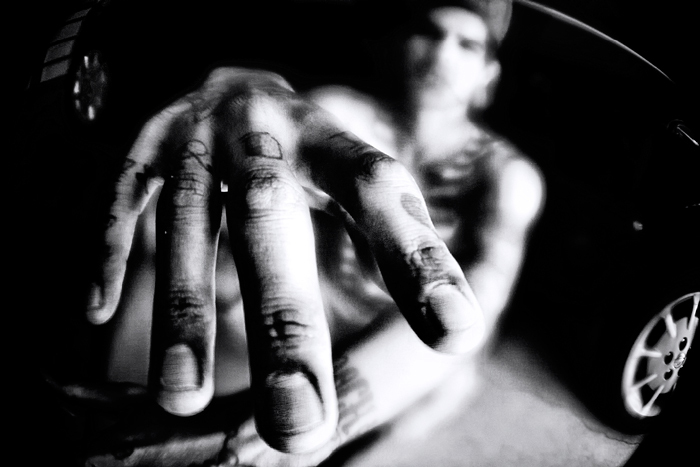 So what does this picture of tattooed fingers have to do with Memorial Day? By tattooing arcane symbols on his fingers, the dude probably wanted to be reminded of certain things. As near as I can tell, those are real tattoos. They are so poorly marked that he probably did them on his own. I have yet to find out what those symbols mean. What do you think?